There’s a new box office queen in town. “Bohemian Rhapsody” ranks as the second-best start for a music biopic, following 2015’s “Straight Outta Compton” ($60.2 million). For measure, it also topped the domestic debut of Warner Bros.’ “A Star Is Born,” which launched with a solid $42 million last month. Rami Malek stars as iconic Queen frontman Freddie Mercury in the film, which cost around $50 million to produce. It’s a bittersweet symphony for Fox as the studio prepares to merge with Disney. “Bohemian Rhapsody” has generated a mixed critical response, though audiences have embraced it with a 96% on Rotten Tomatoes and an A CinemaScore. 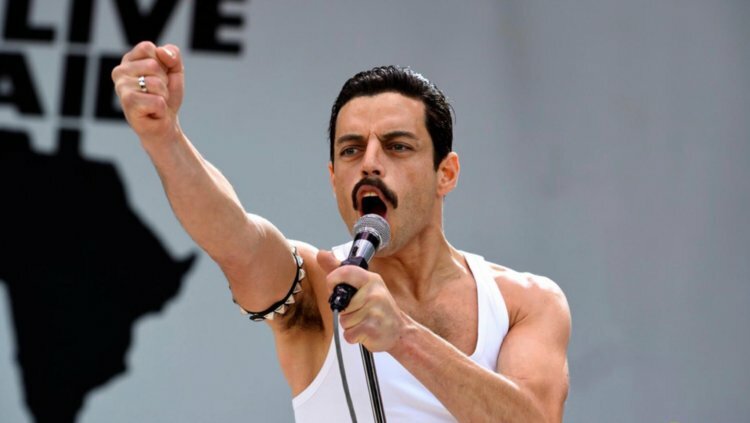 Overseas, “Bohemian Rhapsody” bowed this weekend with $72 million for a global start of $122.5 million. Imax screens accounted for $10 million of its box office total. The biographical musical, produced by Graham King and co-produced by New Regency, opened in the United Kingdom last weekend with a huge $12.2 million, ranking as one of the best debuts in that territory. Its worldwide tally currently sits at a strong $141.7 million. The family-friendly “Nutcracker” amassed $38.5 internationally, bringing its worldwide total to $58 million. Keira Knightley, Misty Copeland, and Mackenzie Foy star in the film, which was panned by critics, who gave it a 34% on Rotten Tomatoes. Disney is hoping the classic Christmas tale is able to pick up steam as it heads into the holiday season. Rounding out the top five are holdovers “A Star Is Born” and “Halloween.” Bradley Cooper and Lady Gaga’s “A Star Is Born” pocketed another $11.1 million in its fifth outing, marking an impressive drop of just 21%. That brings its domestic tally to a huge $165 million. Universal and Blumhouse’s R-rated slasher “Halloween” earned $11 million for a North American total of $150 million.